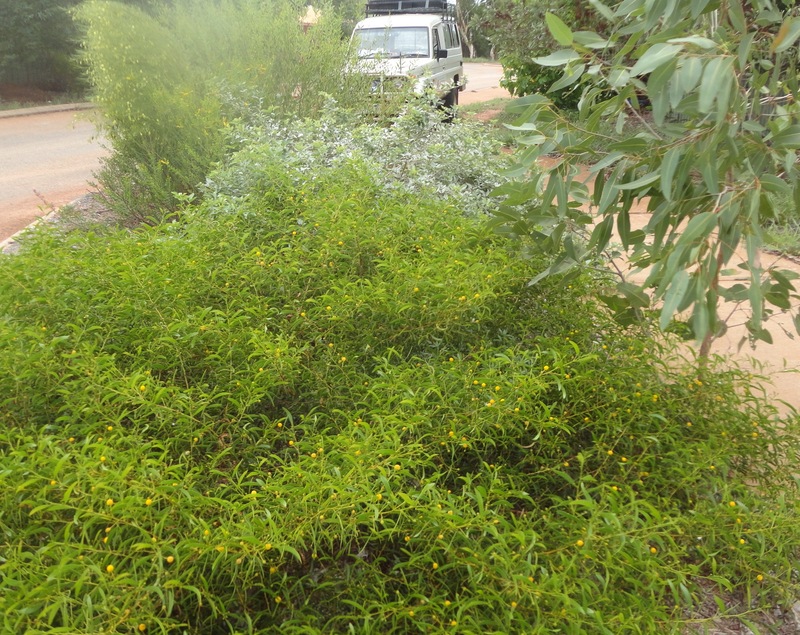 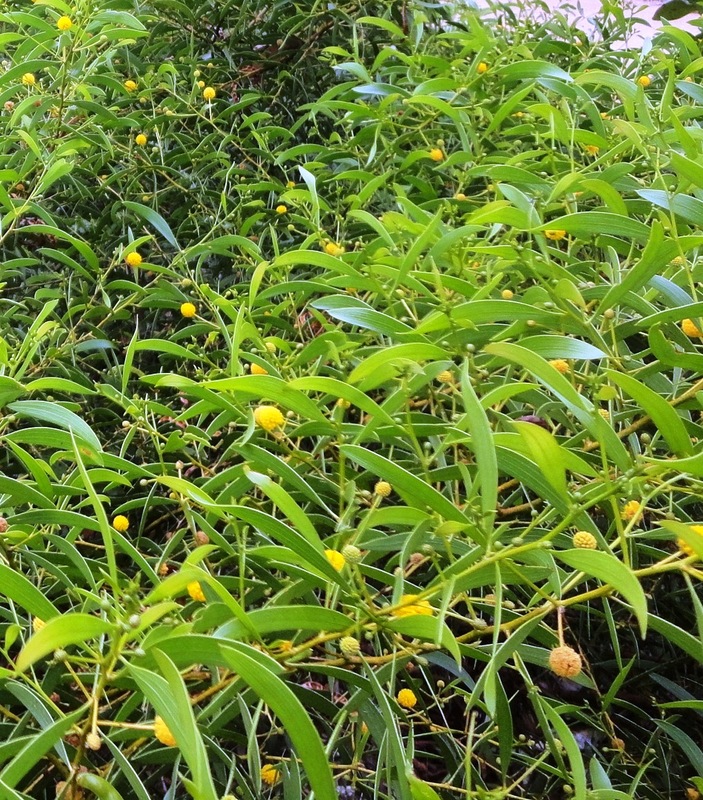 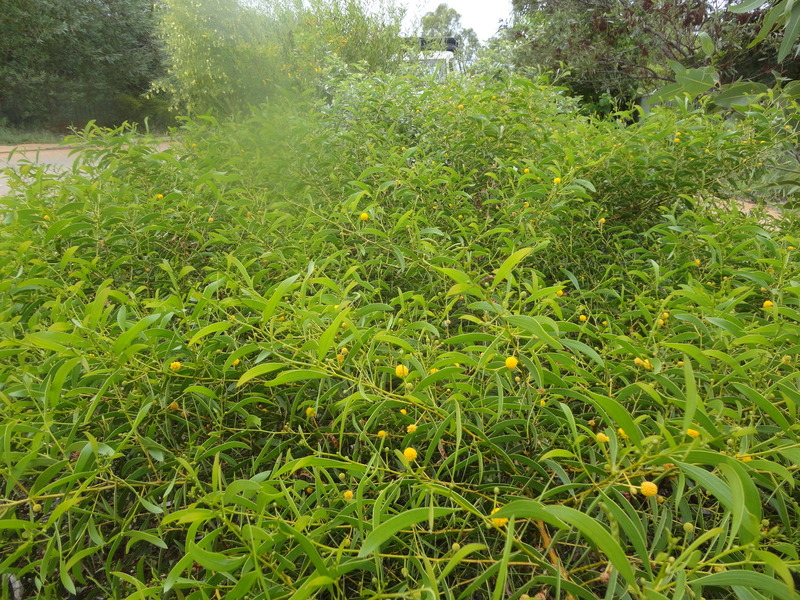 A showy 3m shrub with oval phyllodes which has raised veins, and large yellow ball flowers. 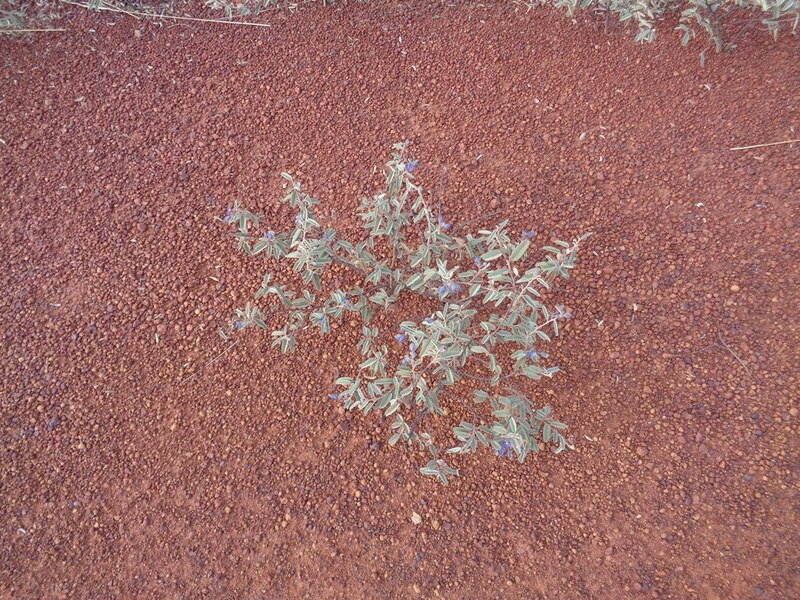 Found at the edgar Range and near Tunnel Creek, west of Fitzroy Crossing. 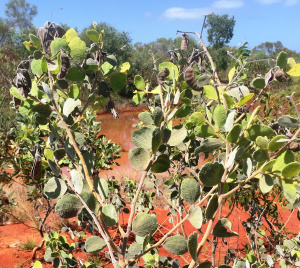 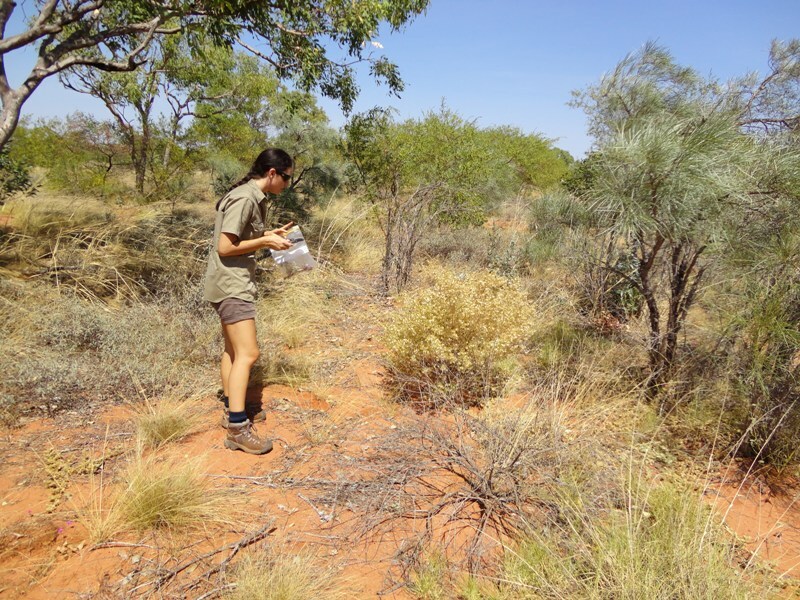 This rare and endangered (threatened) species, formerly from the Keraudrenia genus, which have all been renamed Seringia, is found near Broome and in the Great Sandy Desert. 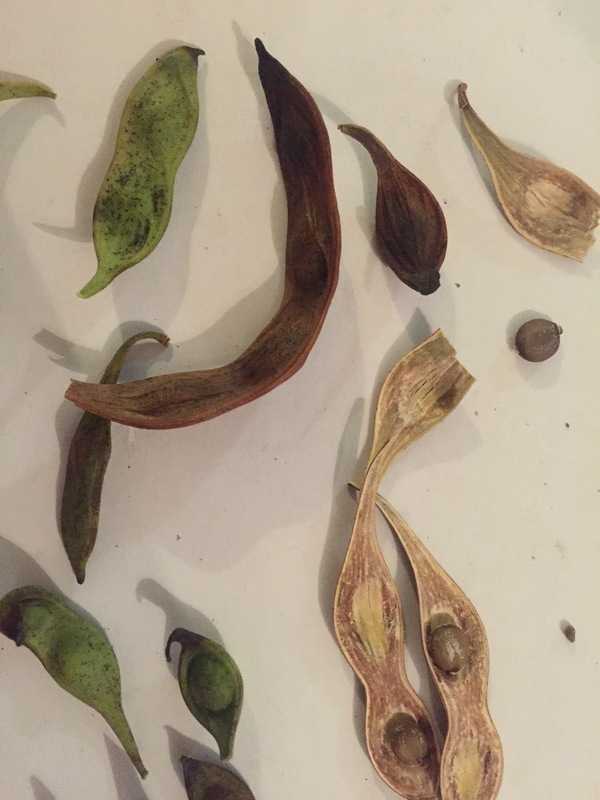 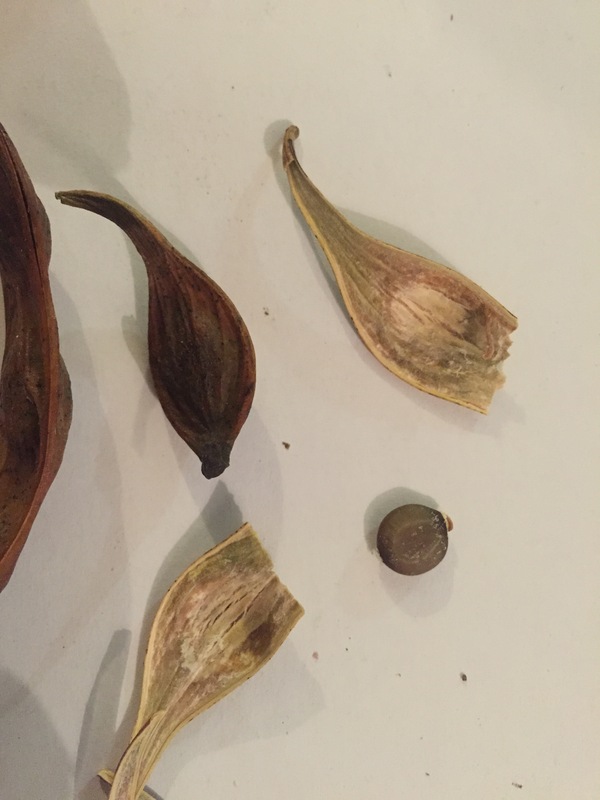 It has not been seen to set seed after years of study. 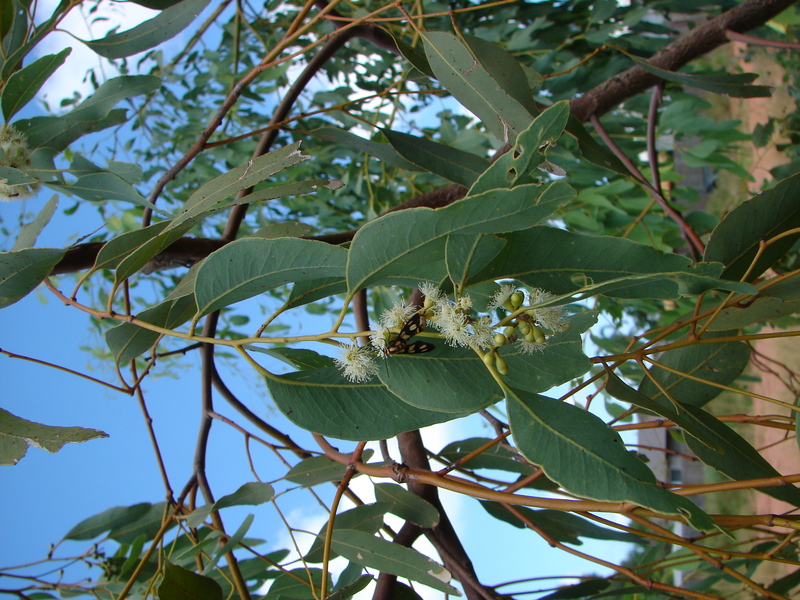 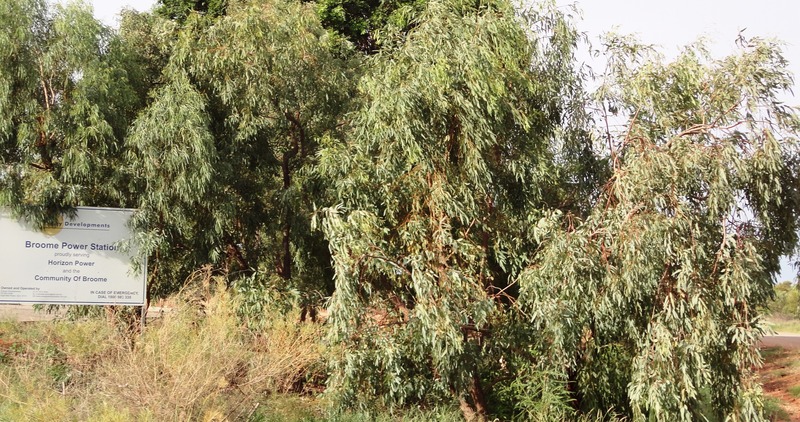 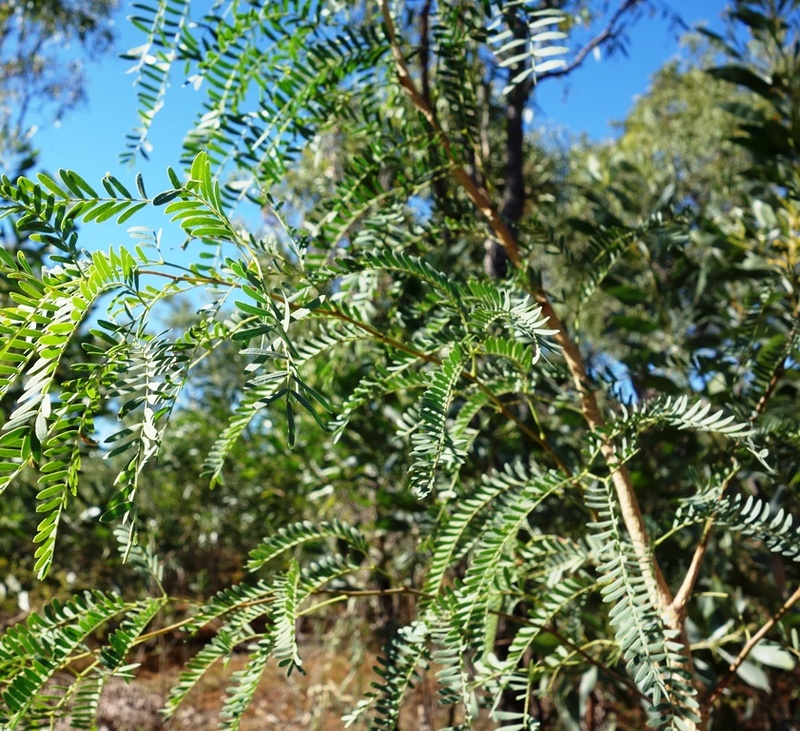 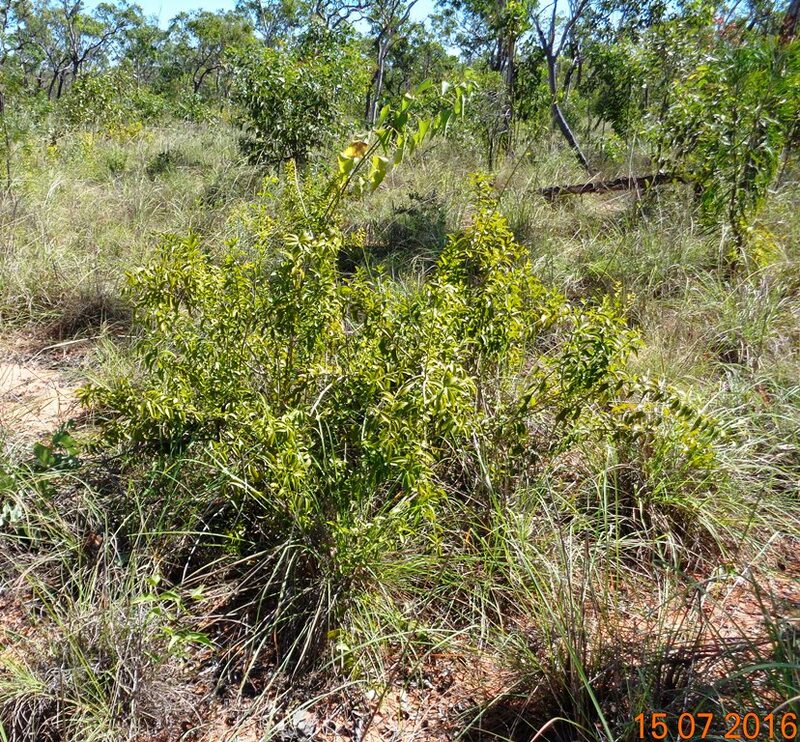 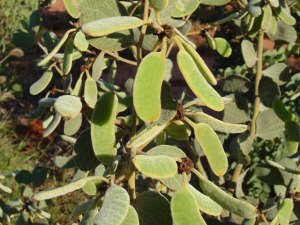 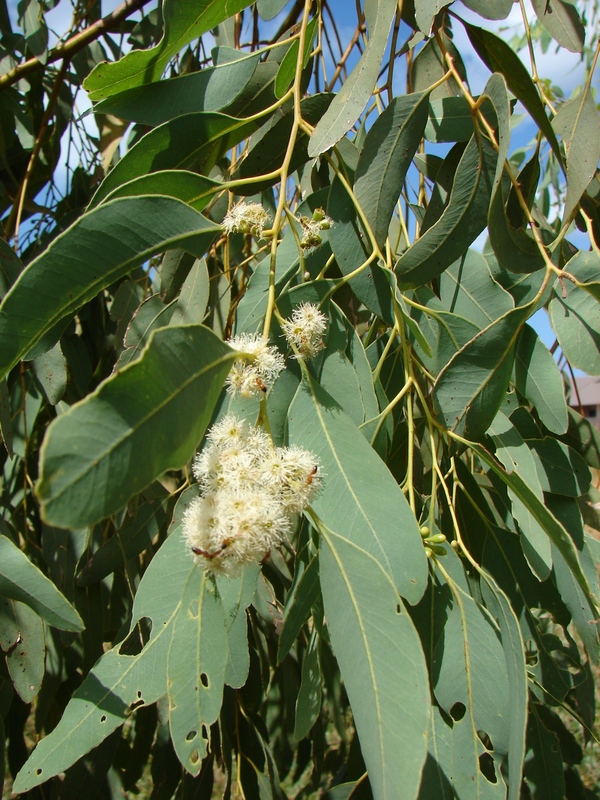 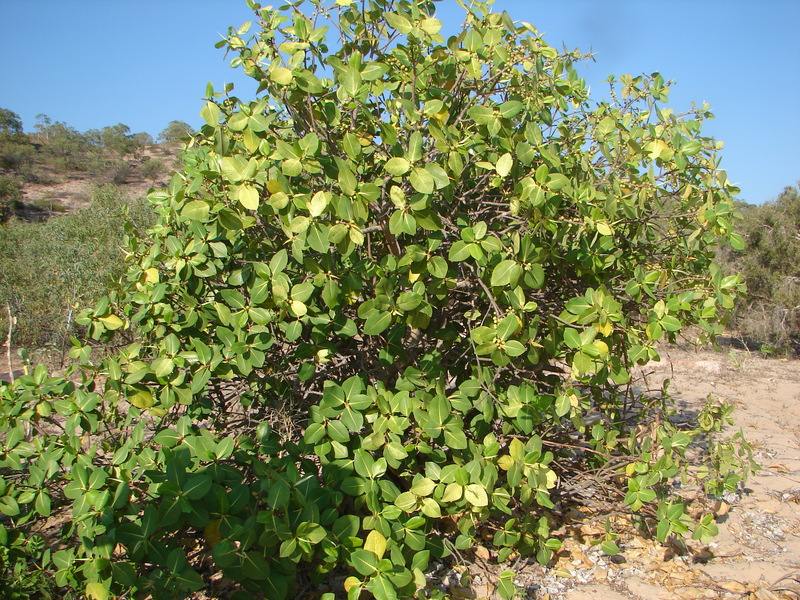 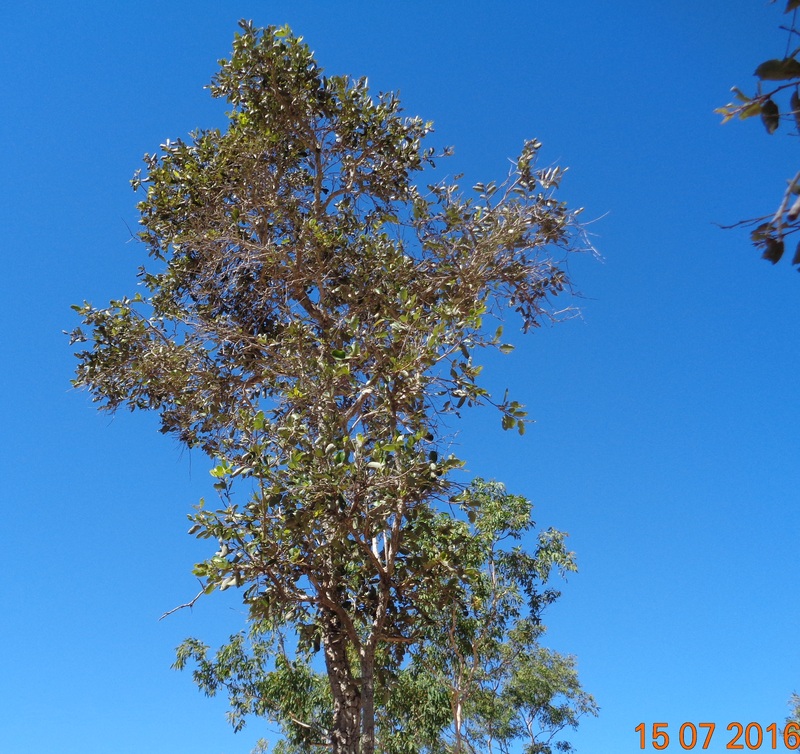 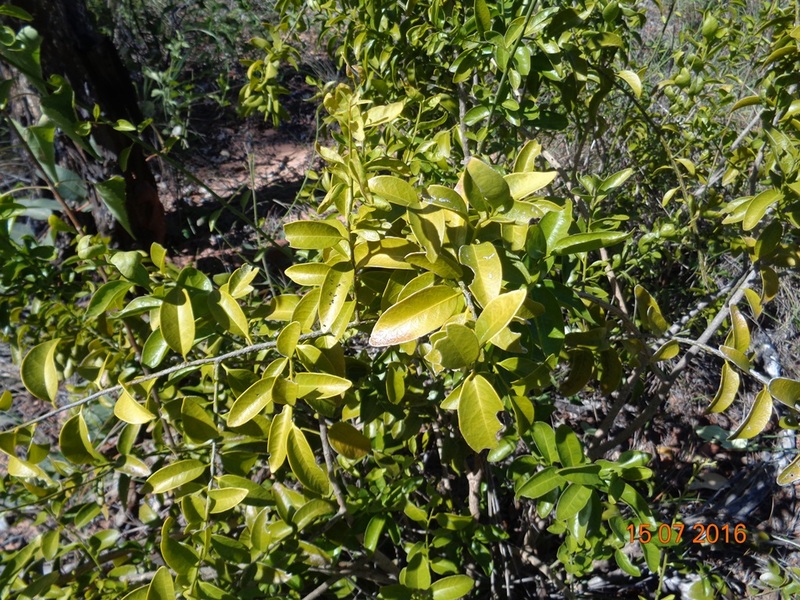 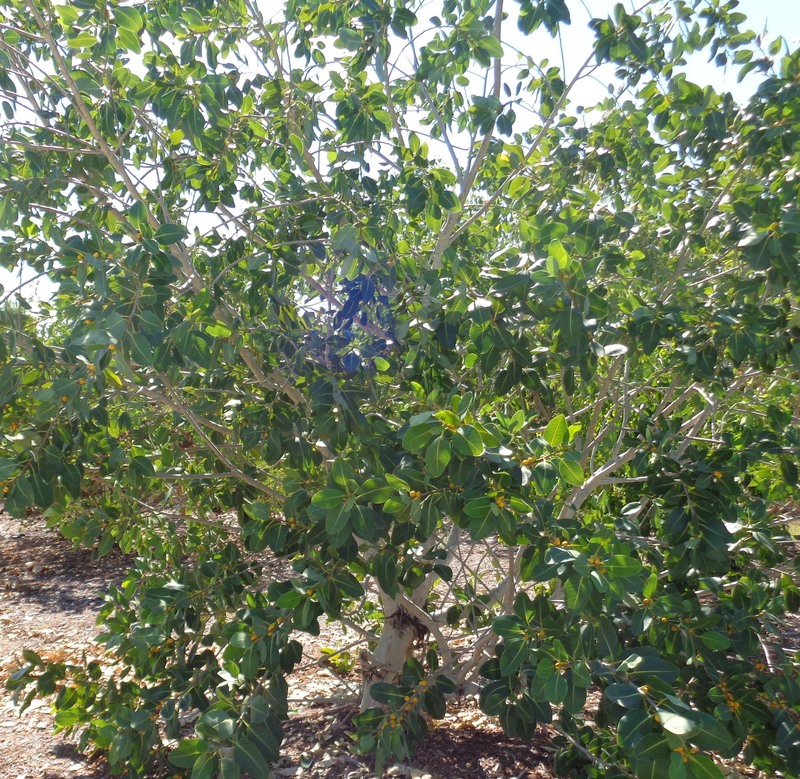 Tree, from 2 to 6m, rarely seen as a tree, grows prostrate near the cliffs at Price’s Point, and scattered Kimberley locations, has small oval coriaceous leaves. 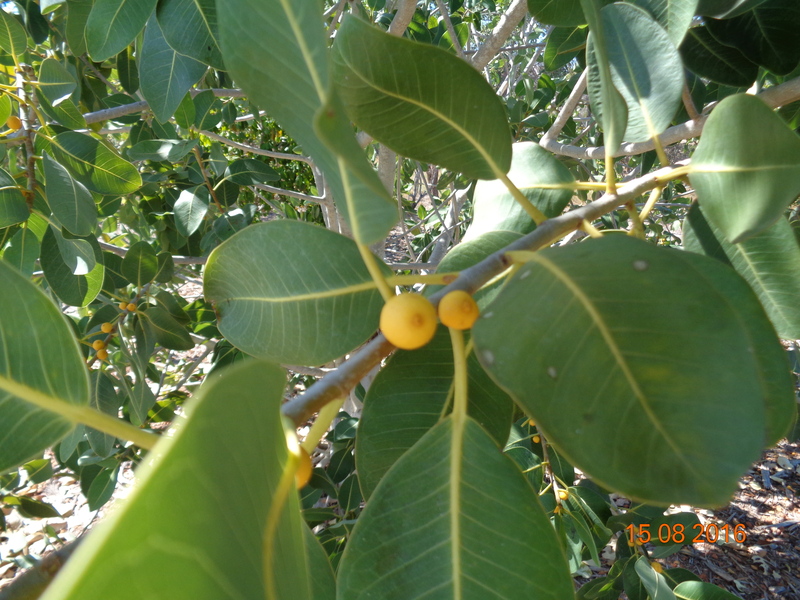 Edible orange fruits in abundance, though not yet seen by the author here. 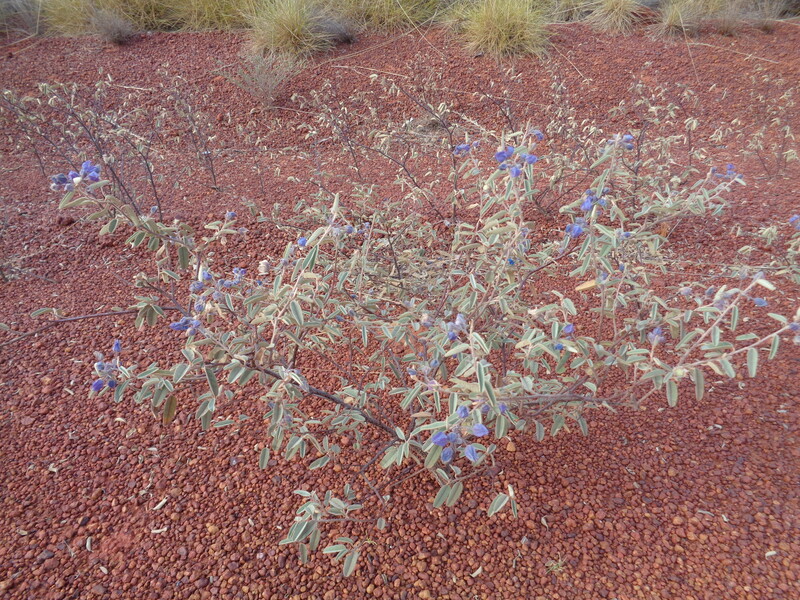 Also grows across the top end of Australia, and New Guinea. 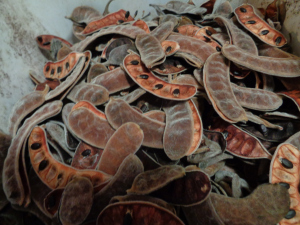 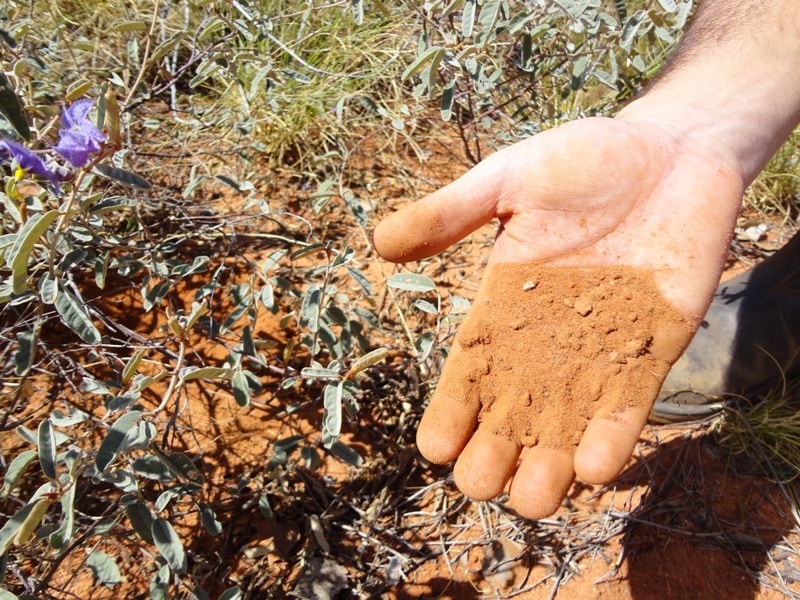 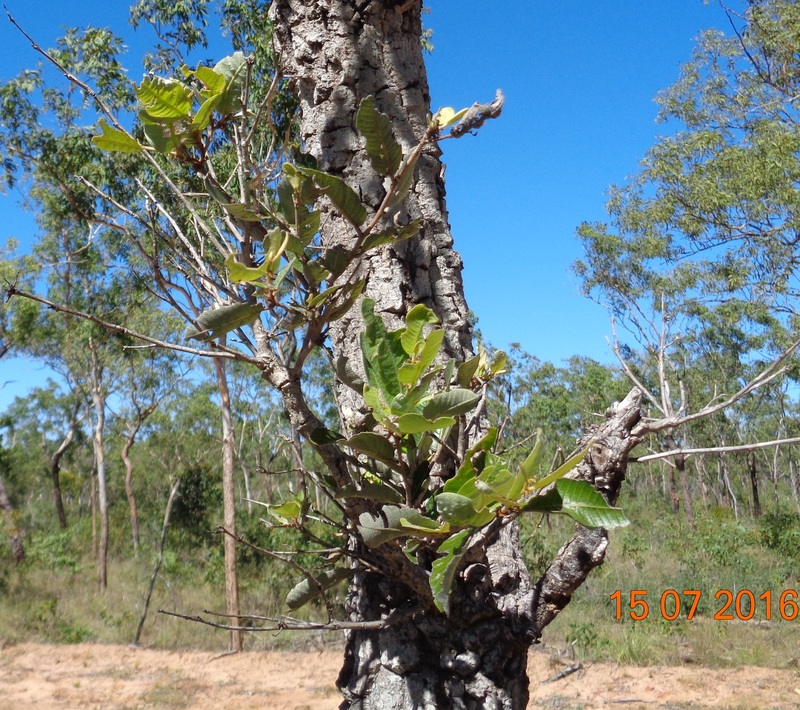 This is an uncommon root parasite found across the Kimberley. 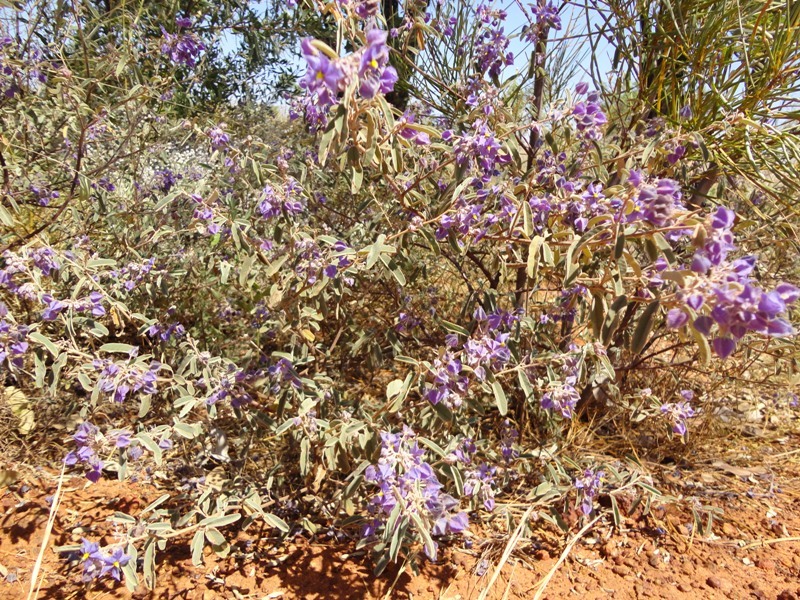 Also found in Africa, with a number of uses, edible and medicinal. 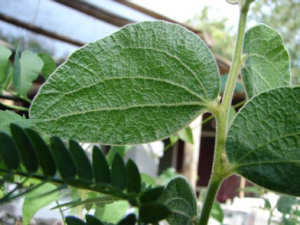 It is effective against symptoms of Malaria in Africa. 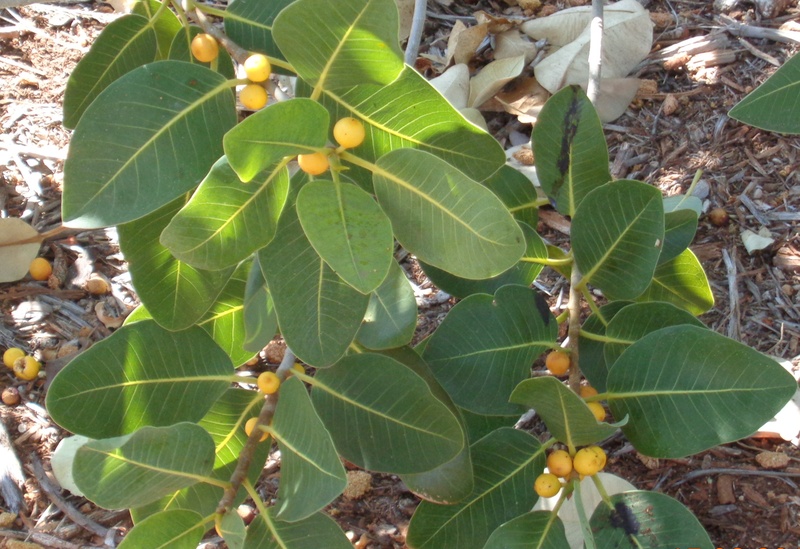 Grows as a shrubby liane, with roots and leaves used as a fish poison. 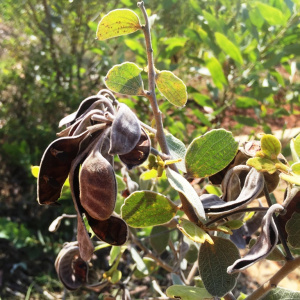 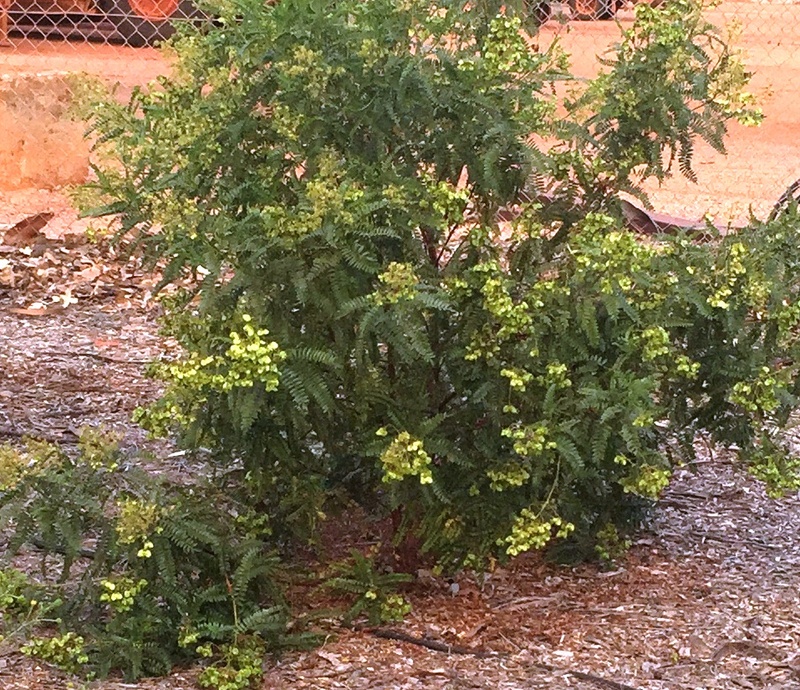 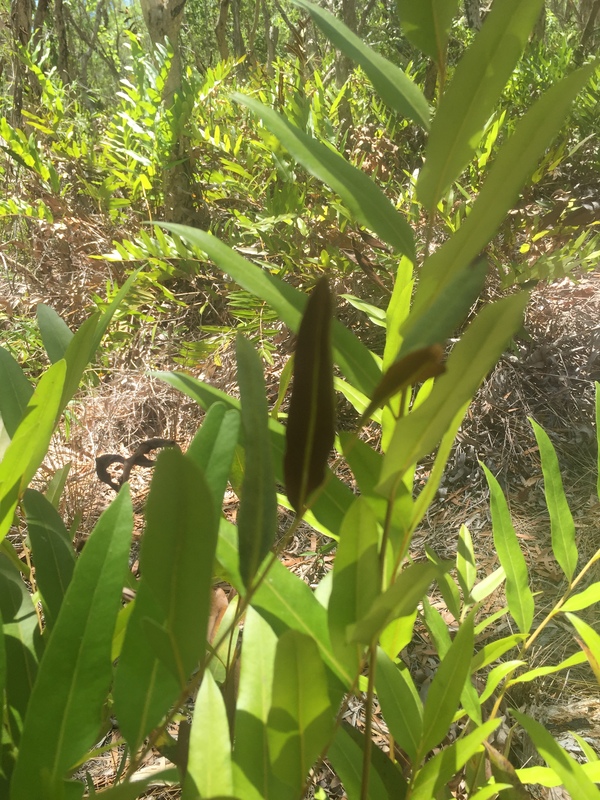 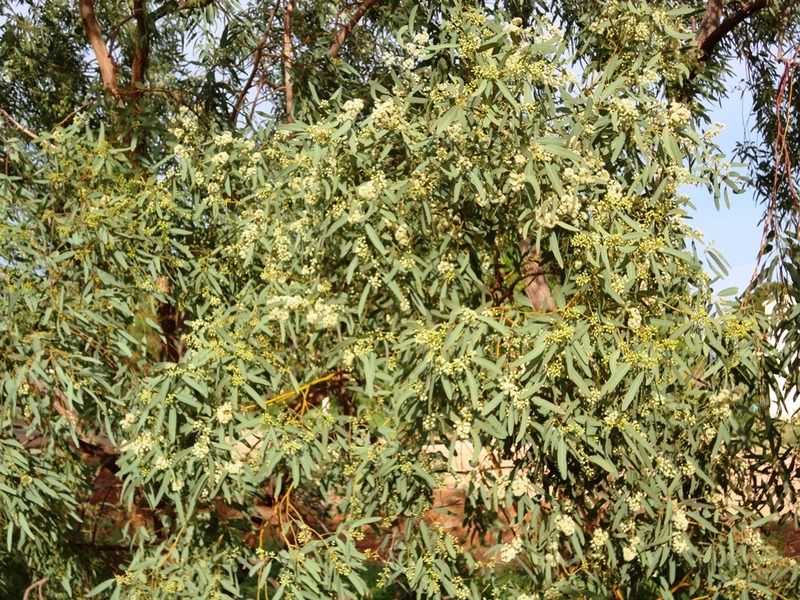 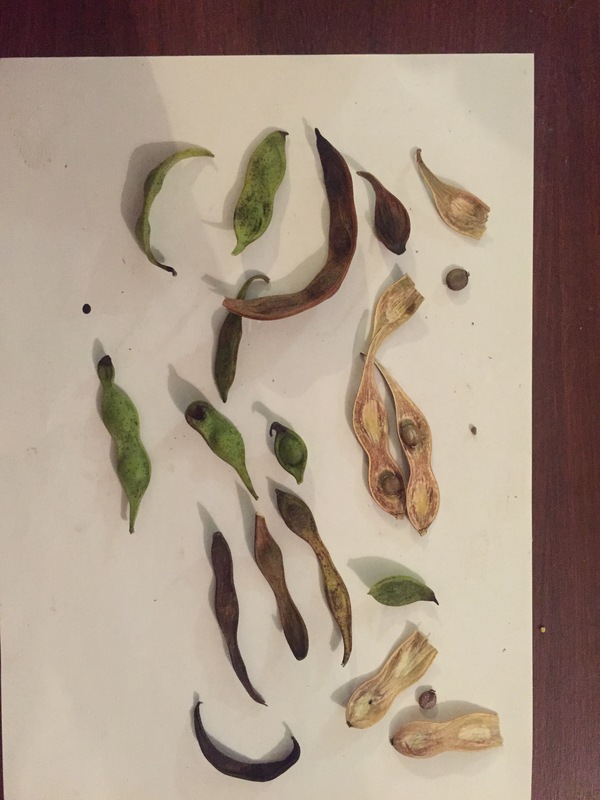 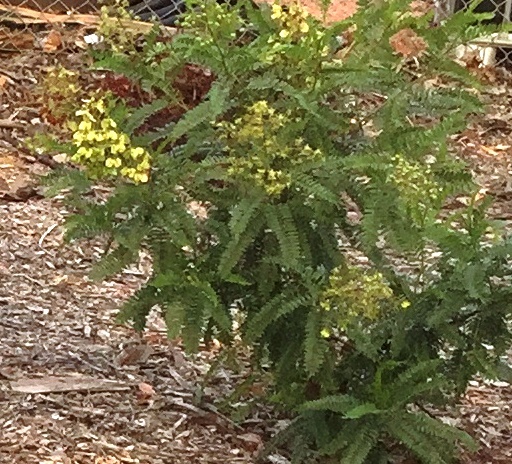 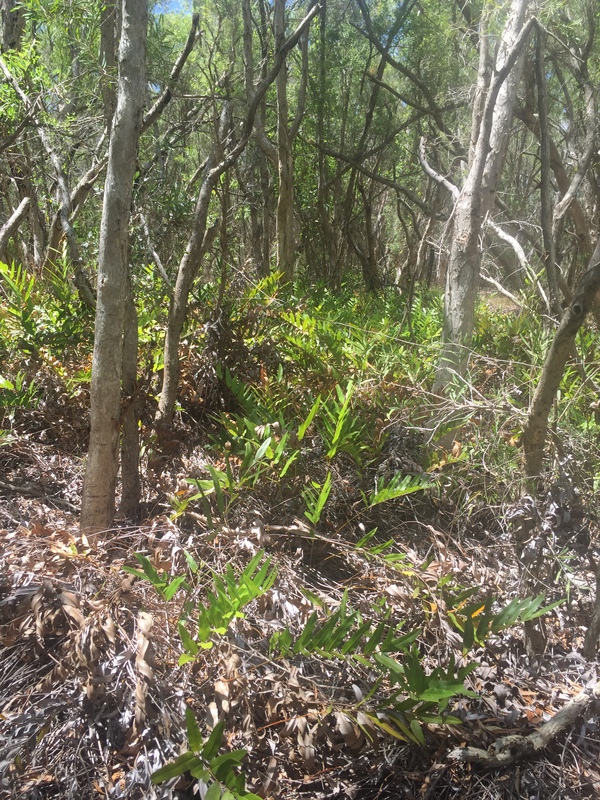 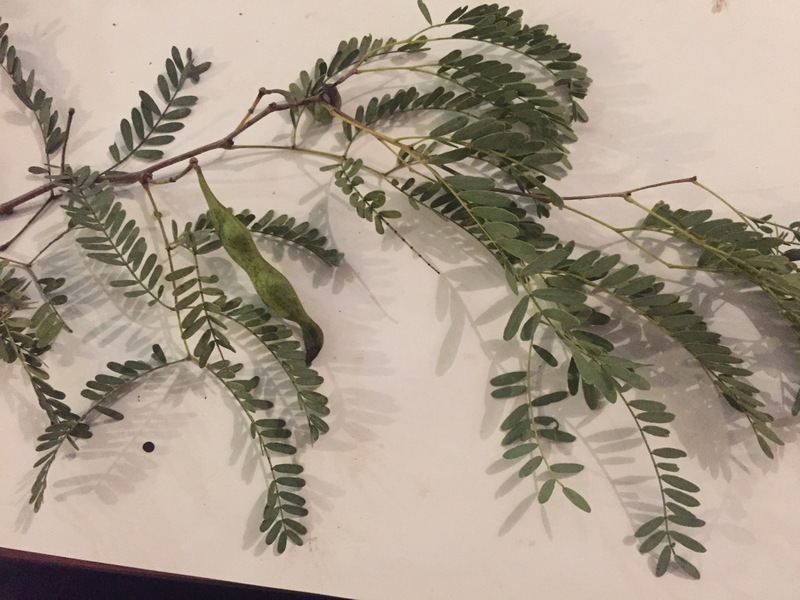 Large shrub to about 3 or 4 metres with small viscous leaves, green tri-winged papery seed pods containing small black seeds. 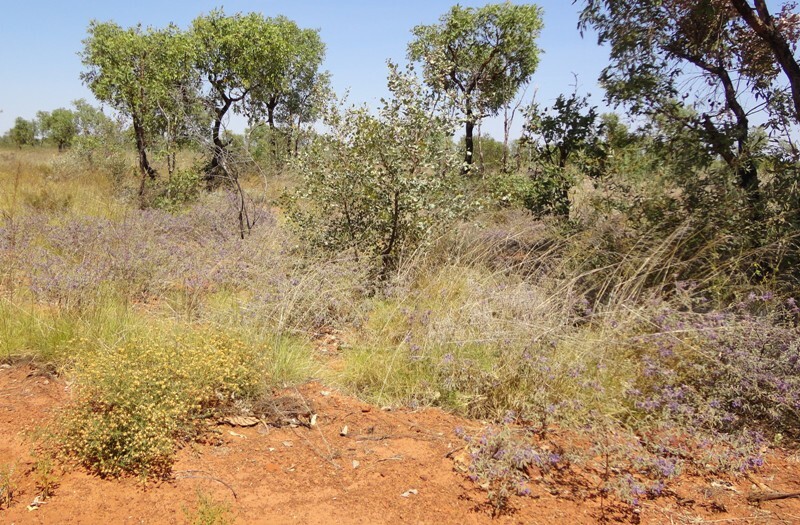 From Central-west Kimberley to the Northern Kimberley. 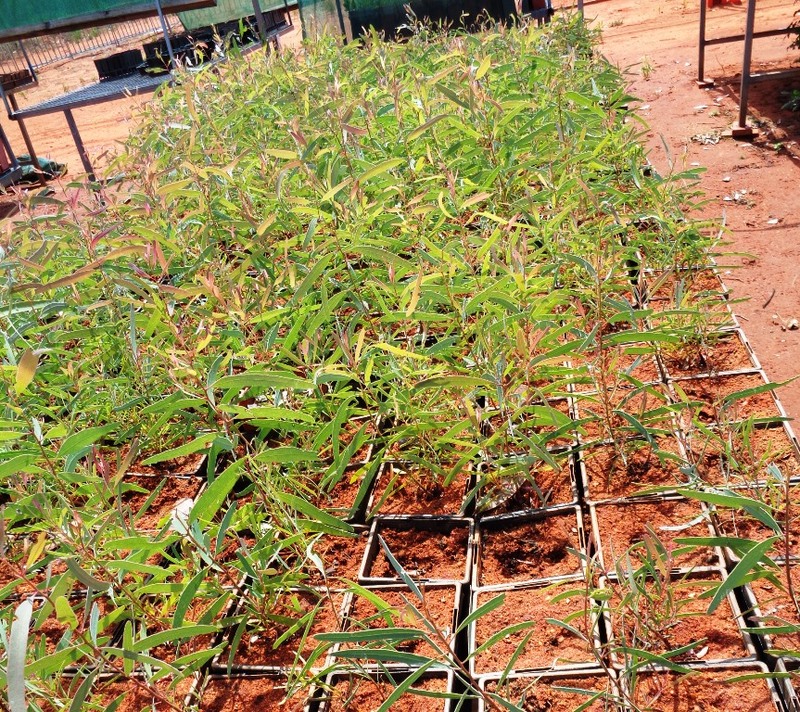 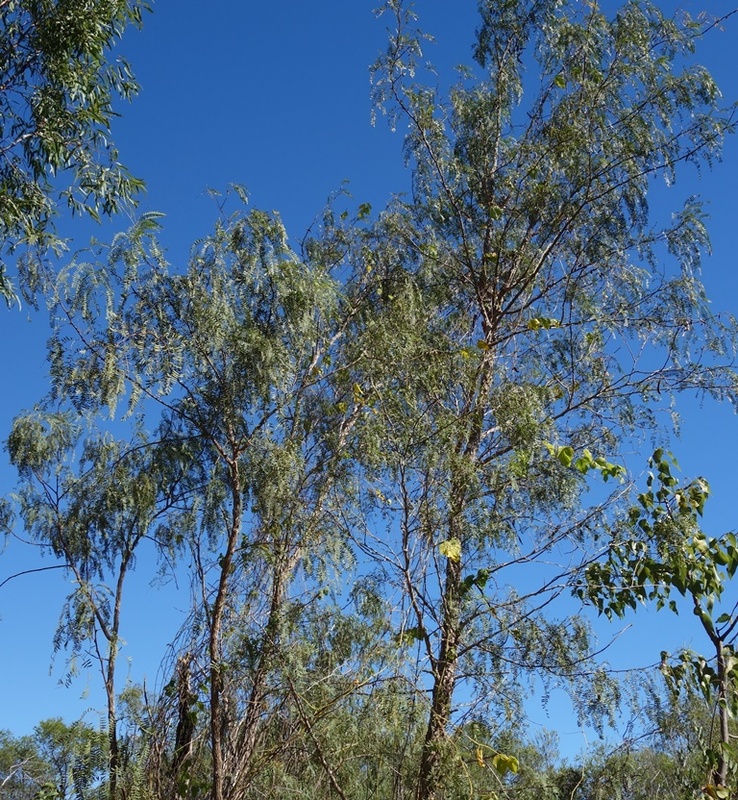 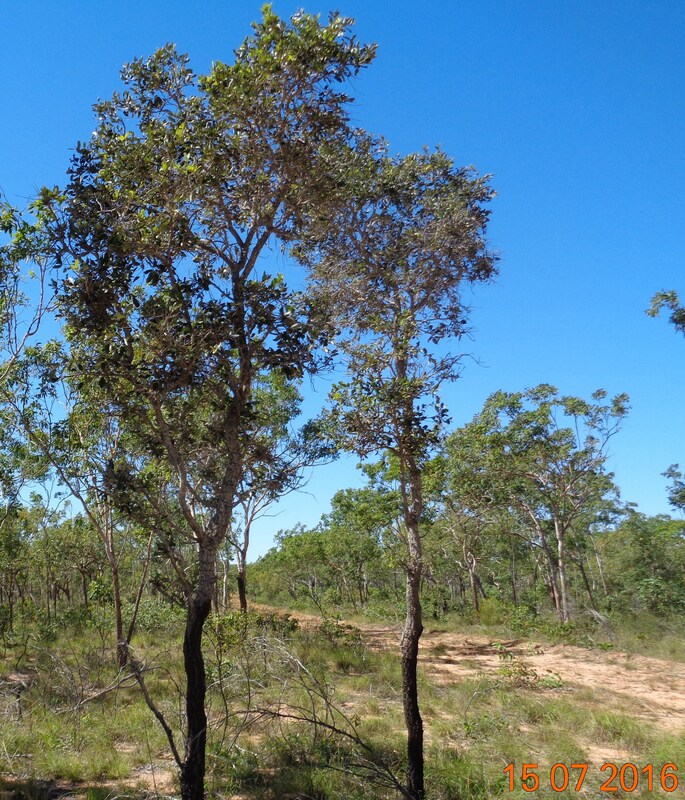 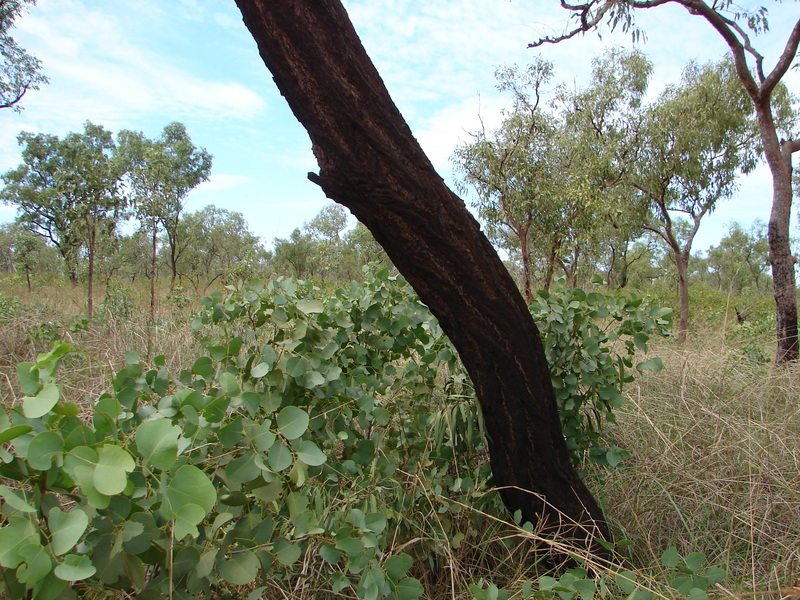 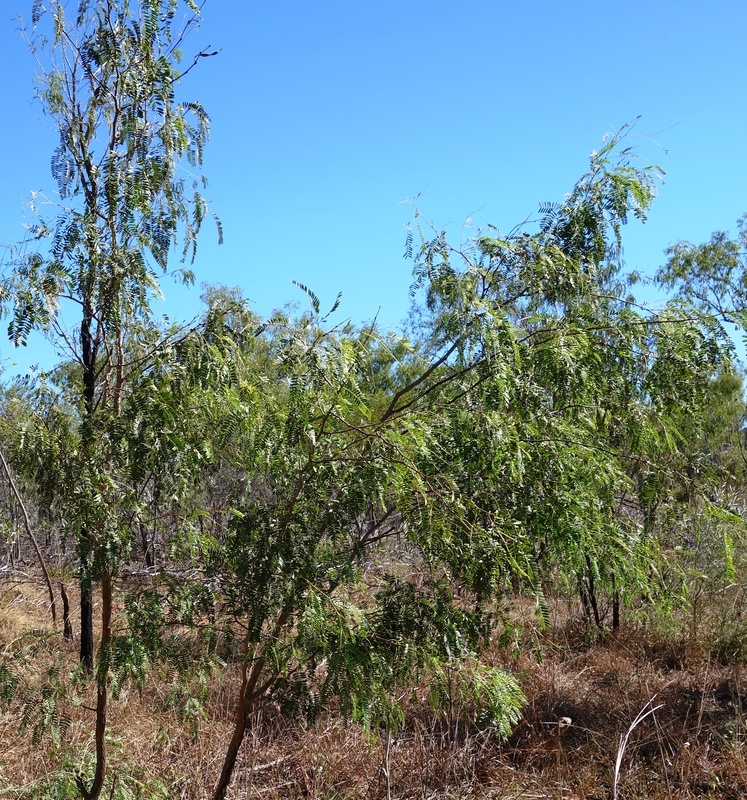 This Ironbark Tree is found from the Edgar Range south of Broome to the North Kimberley. 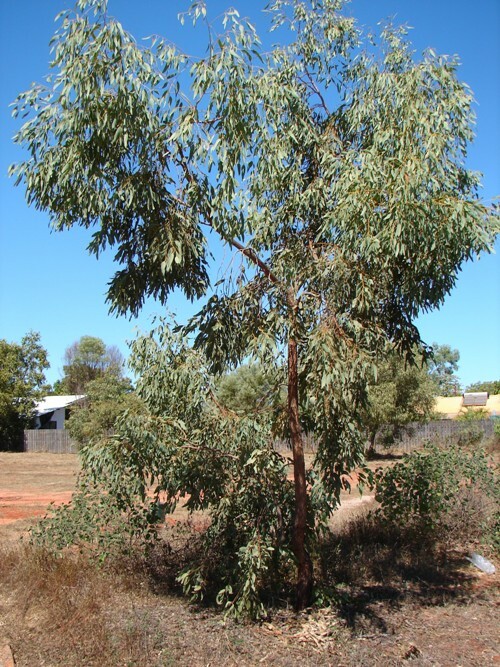 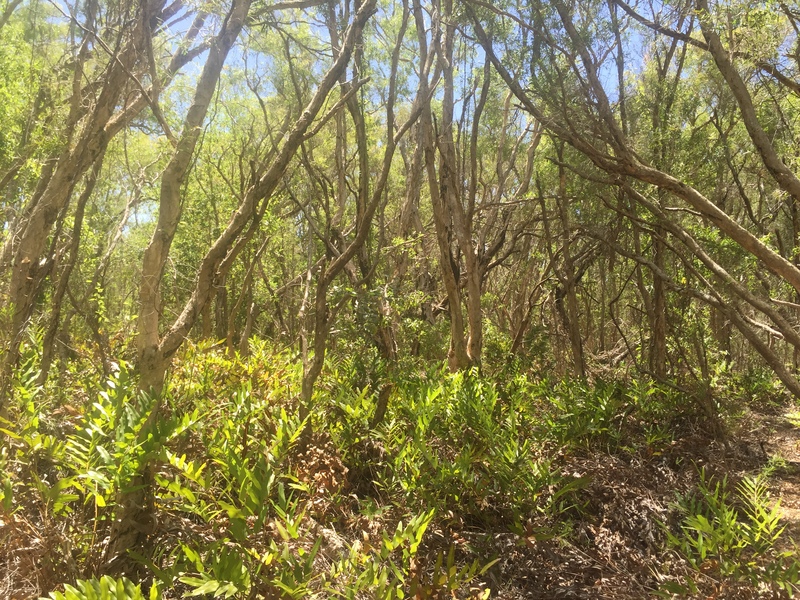 Often in woodlands with this as the dominant species, it has a dark fissured bark when mature, white flowers and narrow leaves. 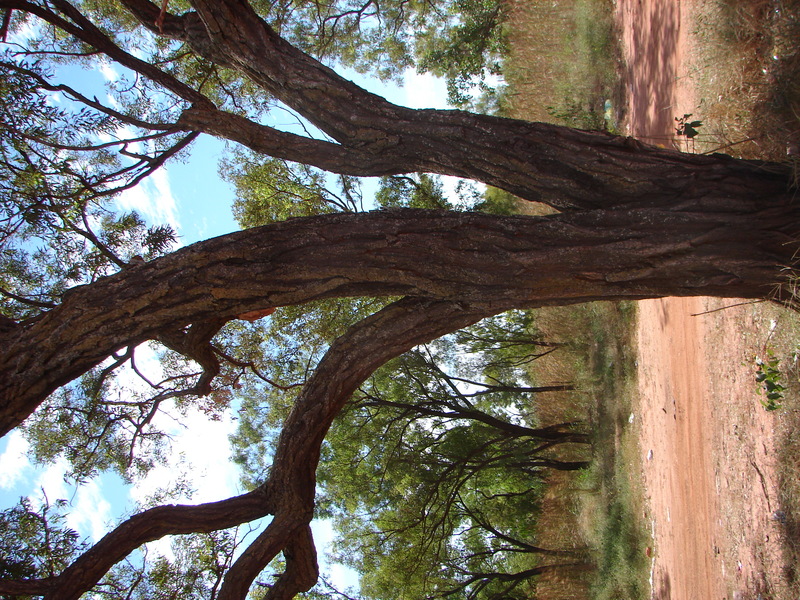 Superb tree for parks and gardens.